Ben Small has been an active member of the Spokane Valley community since he was named Superintendent of the Central Valley School District in 2008. 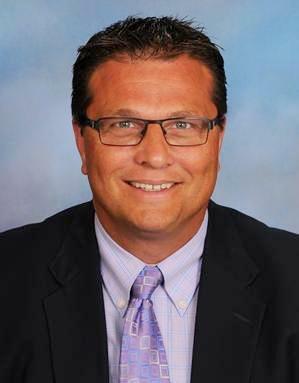 He has more than 16 years leading school districts as Superintendent, driving strategic vision in school systems, and using a collaborative leadership style that develops common purpose. In 1990, Mr. Small began his career in education teaching middle school in Walla Walla. From 1996 to 2008, he led in the Columbia School District as the middle school Principal, Executive Director for Teaching and Learning, and for five years as the Superintendent. He earned his Associate of Arts degree from Spokane Falls Community College, holds his Bachelor of Arts and Master of Education degrees from Eastern Washington University, and earned his Superintendent Credential from Washington State University. In Central Valley, Superintendent Small leads a preschool-12th grade school system of nearly 14,000 students and over 2,100 employees in 27 schools and learning centers over an 80-square-mile area. Mr. Small is a founding Board member and past President of PACE - Partners Advancing Character Education and past Chair of the Greater Spokane Valley Chamber of Commerce. He also serves on the WSU College of Medicine Dean's Advisory Council, the WSU Elson S. Floyd College of Medicine Admissions Committee, the Washington Association of School Administrators-Professional Standards & Ethics Committee, the Board of Trustees of Greater Spokane Incorporated, the Spokane Area Workforce Development Council, and is a member of the Sunrise Rotary Club of Spokane Valley.